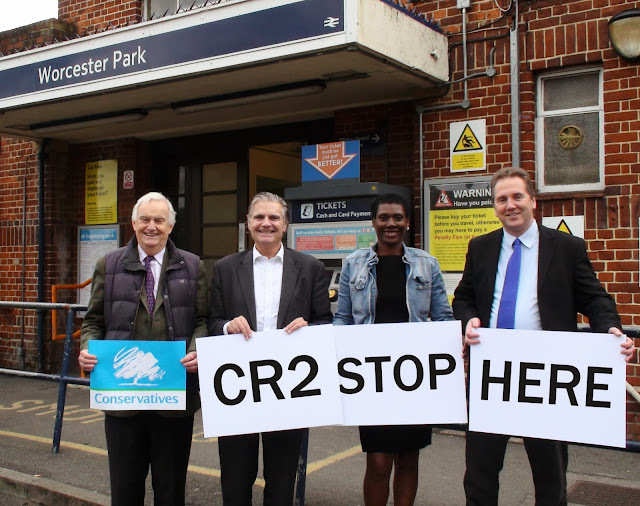 A campaign started by this blog and local Conservatives to get proposed Cross Rail 2 trains to stop at Worcester Park at has been taken up in earnest by local traders and residents. Under current plans, the proposed Cross Rail 2 trains (not to be confused with High Speed 2 or HS2 heading from London to ‘The North’) would make a stop at Motspur Park and then come straight through Worcester Park without so much as a cursory glance while thundering over the bridge and down the line to Epsom, the next and final stop. ‘Why would anyone stop at Motspur Park in preference to Worcester Park?’ seems to be the cry going up. Sure Motspur Park has a few nice shops and I’m sure the people living there are lovely, however – they don’t have 4 major bus routes stopping at their station including the X26 to Heathrow. They don’t have the thriving hub of business and industry that is Central Road; and they don’t have the sheer volume of people that would use the train every day to commute to and from Central and North London via Victoria, Tottenham Court Road, Kings Cross and the other useful stops along the proposed route. It's not that I think anyone has any objection to the train calling in at Motspur Park, it’s just why is there no planned stop at the vastly more sensible Worcester Park? The campaign to get this changed has been in full swing for a short while now. 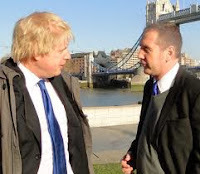 Local Conservative campaigners have been talking to various politicians and have started a petition which London Assembly member Steve O’Connell (pictured left) will present to the London Mayor Boris Johnson. Many local traders already have a copy of the petition in their shops for people to sign (please see the current list of traders below). There is also an electronic version which you can sign here. 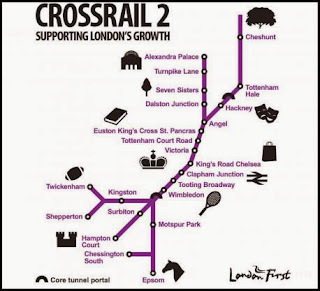 “TfL and Network Rail have just completed a joint consultation on Crossrail 2 which included two options: a metro scheme and a regional scheme. The metro scheme would not serve Worcester Park. 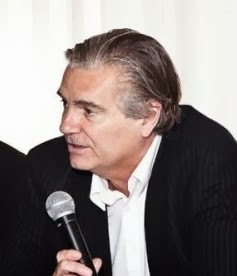 A regional scheme would have the potential to serve Worcester Park through its connections with the South West Trains network. 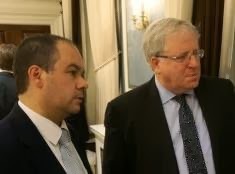 Paul Scully, Conservative parliamentary candidate for Sutton, Cheam and Worcester Park has also taken the opportunity to raise this issue with Government transport Secretary, Patrick McLoughlin (both pictured right). As promised, below is the list of local shops which have a copy of the petition which you can sign. Please contact the blog if you know of (or are) any other shops who would like to keep a copy for local people to sign. And remember you can sign the electronic version too. Hopefully between all these and other efforts we might end up with some much needed improvement to local public transport in Worcester Park.